FORT KENT — Northern Maine Medical Center is offering assistance to people who want to make healthy choices to improve the status of their health. In line with its action plan for community health needs, NMMC has identified good nutrition and cardiovascular health as two of its top priorities for members of the public and its employees. For a third consecutive year, NMMC is offering a free course developed by the national Center for Disease Prevention and Control (CDC). The nationally recognized program called the National Diabetes Prevention Program (NDPP) was created by the CDC for individuals who are at risk for developing diabetes and to provide guidance and support in making every day healthy choices. Eighty six million Americans have pre-diabetes, which is more than one out of three people. Pre-diabetes increases one’s risk for type two diabetes but can also lead to other chronic and serious medical conditions such as heart disease and stroke. Rebecca Michaud, employed at NMMC, completed the program the first year it was offered. She said, “The program gives you tools –it is not a fad diet. It is a lifestyle change. 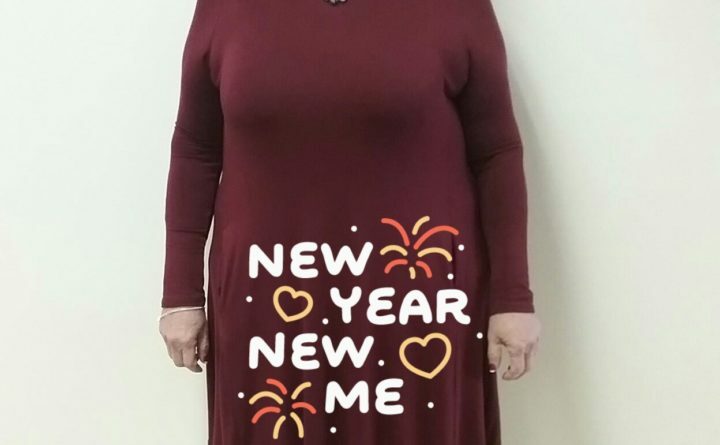 If you put in the effort, you will be successful.” She admits that initially the requirements were overwhelming but having lost a total of forty pounds, Michaud said, “I am so glad I did it. I am more physically active now and it is something that has become a part of my life. I maintained my weight even over the holidays.” A full year later, Michaud has maintained the weight loss. She encouraged those who might consider participating in a future course not to give up only because of an occasional inconsistency. For Judy Raymond, a participant in the second year the program was offered, it meant coming off insulin injections. Living with diabetes, Judy had been on daily insulin injections for years. She admits to trying many different types of diets over the years but nothing ever seemed to work. She completed the course, far exceeding the seven percent weight loss recommended by the program. She has also incorporated physical activity into her routine and she has added healthy food options a part of her meal plan. Tyler Stoliker, NMMC Family Nurse Practitioner and one of the two Lifestyle Coaches who teach the course said, “The Program is promoted as a lifestyle change and not a fad diet.” Each participant is asked to set personal goals in addition to the program goals. As part of the core curriculum covered, participants receive general education about pre diabetes, diabetes and related health risks. They also learn about fat grams and their relation to overall caloric intake. NDPP is the foundation for lifestyle changes which exists beyond the twelve month course. Kathleen Moneghan, NMMC Physician Assistant and Lifestyle Coach said, “The Program raises awareness about what you put into your body.” She also said that the group dynamics of sharing amongst class participants makes a significant difference and contributes to individual success. Throughout the yearlong program, participants have the opportunity to share strategies for success as well as support and encourage one another when they have a relapse. As the program progresses, the importance of physical activity is incorporated into the program. Classes are interactive and include opportunities to speak with a nutritionist, learn proper techniques for stretching muscles, work with restaurant menus and exchange recipes. Moneghan indicated that the Program has gained traction all over Maine because of its documented successes in supporting individuals who embrace healthy lifestyles. An informational session is being offered on May 16, 2018 at 6 pm in the NMMC Medical Library. Anyone interested in learning more is encouraged to attend the open session. To register for the Program contact your primary care provider or call 207-834-1353. An individual does not need to have a pre-existing condition of diabetes or be pre-diabetic to be eligible for the program.